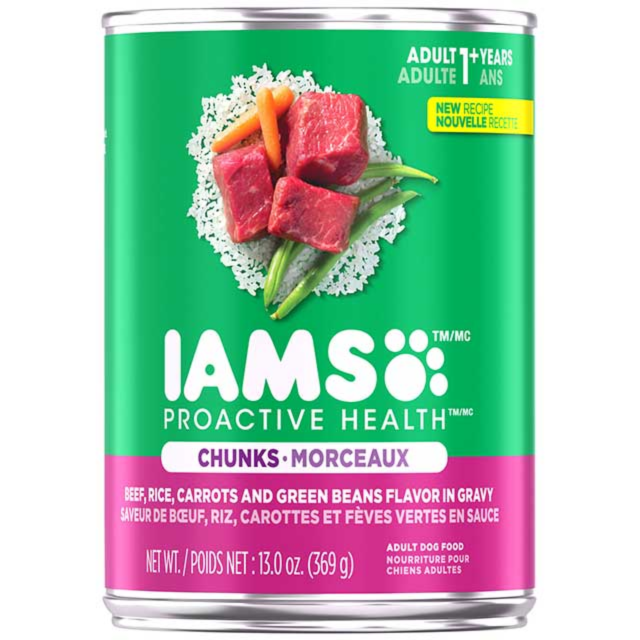 IAMS Canned Recipes are made from natural ingredients slow-cooked in real broth PLUS added vitamins and minerals. These guideline amounts are a starting point and your dog may need more food depending on age, activity, and temperament. Provide fresh drinking water at all times. 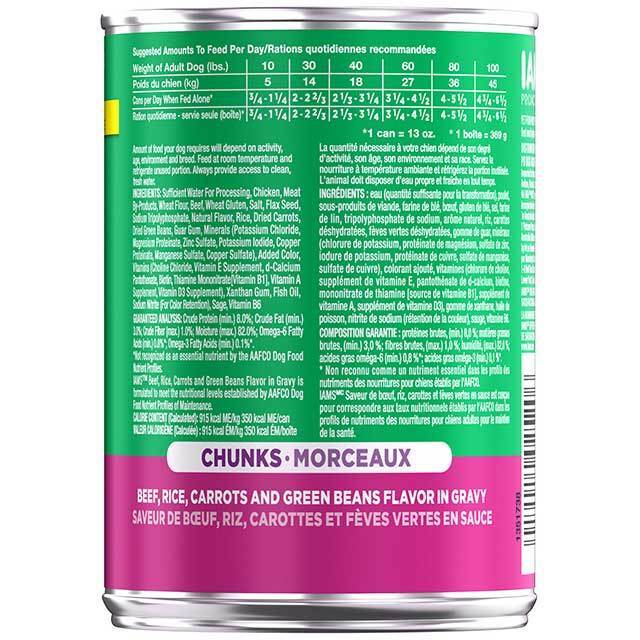 Refrigerate any unused portion.